Talk about the new Pure Intec Two album and the concept behind it. What can people expect from it? "Pure Intec was originally released around nine years ago and essentially contained all the labels releases up to that point, with a few forthcoming tracks too. For this next edition we took a slightly different approach where the mixes contain forthcoming material that so far, people might have only heard in a club. 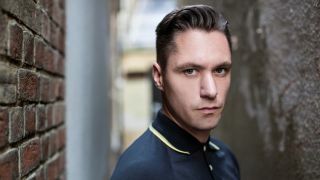 Carl's mix is all about the remixes we got in for his last artist album, from people like Loco Dice, Guti, Ben Sims, Nicole Moudaber for example, and my mix is all about the forthcoming releases we have lined up through out the year from the likes of Carlo Lio, The Junkies, Pirupa, Daryl Stay to name just a few. It's to whet people's appetite, so to speak." "The same level of work goes into releasing music now as it did before, the difference was that perhaps the margins were better back then overall." Do you think it's easier or harder now to make a dance label work? "It's all down to how organized you are in my opinion, whether that was back then or now. I think if you are clever about your overheads and your margins you can make it work still, in order for it to essentially pay for itself. The same level of work goes into releasing music now as it did before, the difference was that perhaps the margins were better back then overall." What are your thoughts on the wide variety of 'DJ' now and what it means. Has technology impacted heavily on the DJ Booth? "It's all down to personal preference. It took me a little while to feel comfortable with things like Traktor for example, so much so, that in the end I reverted back to my true self and use USB sticks with Rekordbox, I felt it gave me back more of who I was and how I liked to play, and still also embraced a forward thinking way of doing things. Technology has played a huge part in the evolution of it all though, and I'm glad because it means no more excess baggage and a bad back carrying the vinyl!" What's on your Tech Rider? "Minimum of three Pioneer CDJ-2000's, either a Pioneer DJM-2000 mixer or a 900, but to be honest I can use whatever is put in front of me. Monitors where possible I prefer Function One but this isn't always possible. If I can get four CDJ's I could easily be in that booth for 12 hours." "Personally I'd never make a track with any other thought than making it sound as good as I can for the underground clubs." The gap seems to be widening between 'proper' dance music and the mainstream even further. Do you have any ambitions to make Intec and your own tracks 'big in the USA' for example? "To be blunt, no! Intec stands for International Techno, if the people in the USA decide to embrace what we do without us having to change then great, it's another option of music for them to listen to. Personally I'd never make a track with any other thought than making it sound as good as I can for the underground clubs, it's what comes most naturally." Which artists are doing for you at the moment? "I've been supporting Carlo Lio for some time now, we meet years back after I picked up a remix he had done, we got on and it went from there with getting him onto Intec, we play a few gigs together from time to time and always have a good time. Everything Carlo does I can honestly say I will be sure to play. "Tomy DeClerque is another good artist with his own unique sound and I've supported him for a good few years now too. He has this ability to make the most intense breakdowns that crash back in, seriously kicks the crowd into shape." What do you look for in a new signing? What advice would you give to new producers? What's the biggest mistake most people make in your opinion? "These days its all about uniqueness, we get so much music that sounds like everything that is already out there, and some of it is good for sure, its just why make something others already are doing as a label? I would say to new producers too to really focus on the mixdown too, it'll be what separates you from the rest. This is the biggest mistake I feel most people make in the early days, myself included. You just turn everything up thinking it sounds great but it totally ruins the vibe of the track and the elements than people can vibe off through the sound systems can't be heard." Talk about your own productions, how do you produce? "My own music has morphed and evolved over time to where it is now, sometimes I go in thinking I'll make a Techno track and then end up with a Tech House track, it's just the way it goes. There is so much varied music out there that has influenced me too that some days I just feel like giving some DnB a go, or some house, or some guitars or whatever. "You never stop picking things up as long as you're open minded enough to keep learning." "I use a reasonably basic set up at home to produce, I use Logic, (although I just got Ableton 9, so I'm getting my head around that) and my G5 is rammed to the hilt, loads of software plug ins inside it, got my keyboard to play parts in with and I run it all through a Focusrite Saffire Pro 10 into my Mackie eight-channel desk and out of a pair of Mackie HR824 Monitors. I then take tracks to Alex Tepper's studio and we mix down, rearrange, add in, take out, etc, in a nice treated room. I've also been working on some alternative stuff of late and went over to New York not so long ago to work further on that with Neil Mclellan, and must of made him about a thousand cups of tea but learnt a lot at the same time. That's the thing with production, you never stop picking things up as long as you're open minded enough to keep learning." What does the rest of the year have in store for you and Intec? "The Pure Intec 2 compilation is out now. After this we have releases lined up from Pirupa, Carlo Lio, Tomy DeClerque, The Junkie, Marco Bailey and EP from Digital Primate and myself. Then there is an EP I have done for MB Elektronics as well as another on my label Etch to come. Plus loads more time in the studio working on ideas, fitting a few gigs in between at places such as Awakenings in Holland, in Vienna, Space in Ibiza, Fabrik in Madrid, Spartacus in Aix En Provence, Tomorrowland in Belgium, Global Gathering in the UK, Ultra in Split and plenty more."